We hope that you had an awesomesauce holiday (of course, you did --- you're an Erzulliesta!) and now we are glad to say that we are now BACK ONLINE. We are about to unveil our first two collections this 2018 and we got 4 more coming right after that. The ANNUAL #TNEI2018 is happening too (with an announcement of our new girl-s from #TNEI2017? As well!). So for all of those plus size models who think they are the representation of FIERCE CURVES, GET YOUR PORTFOLIO READY! Of course, our plus size garage sale is also happening, as well as some fierce Erzulliesta events. Hopefully, you ladies are going to have an amazing time with us as much as we are looking forward to serve you, ladies right! 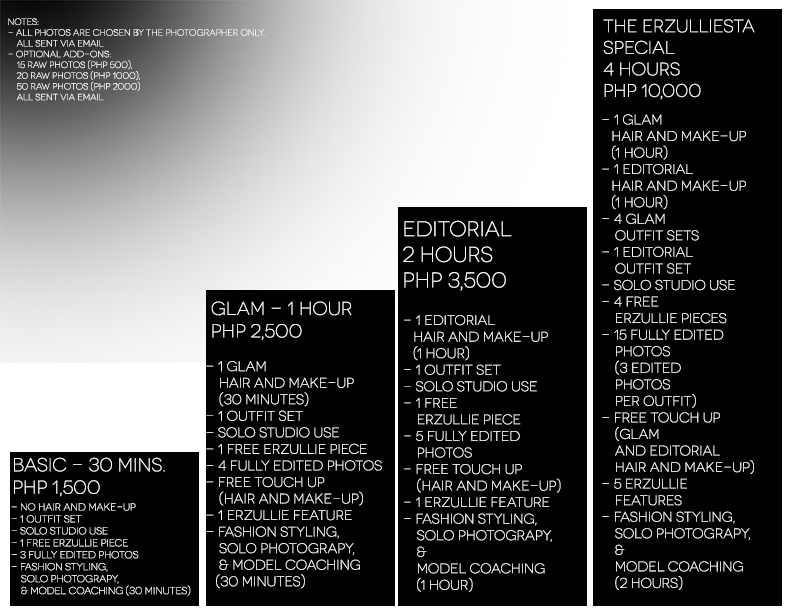 Erzullie is holding an OPEN PLUS SIZE MODEL SHOOT this 2018 (see dates in the form) 9am-4pm at the Erzullie Showroom, LeGrand II, Eastwood City, Quezon City.